VICTOR HUGO once famously remarked: “No power on earth can resist an idea whose time has come.” Since the Industrial Revolution technology has played a unique role in powering growth and transforming economies. Catalysed by the internet, the pace of technological change and scientific breakthroughs is accelerating making it impossible to predict the next big idea. 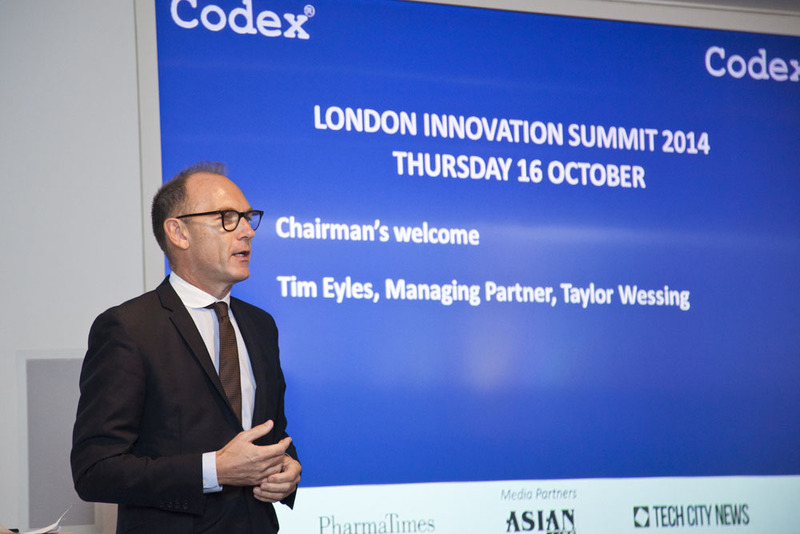 Codex is proud to present the most significant London Innovation Summit of 2014, to review the very latest new technologies which have the potential to disrupt the status quo and transform every single aspect of our lives. This summit will bring together high profile leaders from the most innovative companies that are reshaping, creating, disrupting, and expanding markets across the technology landscape. We will discuss what impacts these technologies could have for growth and performance of organisations and society, and ultimately what it will take to succeed in this brave new world. How 3D printing could change the rules of manufacturing § What range of products can today’s 3D printers make ? What will the factory of the future look like ? Are we on the brink of a Third Industrial Revolution ? Which cities are using technology in the most creative way ? Which medical technologies will yield the greatest benefits ? What benefits can we expect from MedCity ? Will digital money replace cash ? Can peer-to-peer currencies like Bitcoin transform international finance & payments ? Which technologies will help us understand the mysteries of the universe ? What benefits can we expect from nanosat technologies ? 4:30 pm 5:30 pm Robotics: I think therefore I am ? What impact will robots have on the workplace ? Can robots really think in an original and creative manner ? 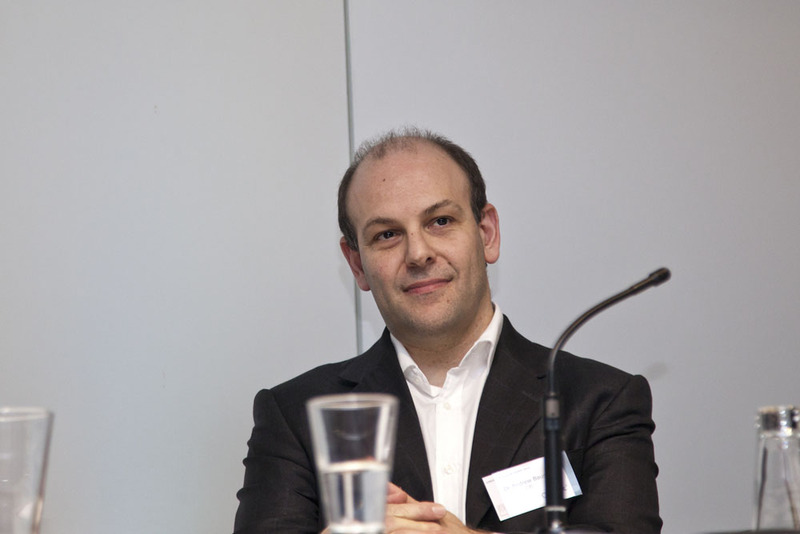 Tim Eyles has been UK Managing Partner of International law firm Taylor Wessing since June 2009. The firm globally has circa 400 partners and operates from 26 offices based in Western Europe (London, Paris, Germany and Brussels), the Middle East and China, with representative offices in Palo Alto and New York. Since taking office Tim has led the creation and implementation of the firm’s international strategy including geographic expansion, the creation of an industry sector focus, a series of programmesfordevelopmentofthefirm’stalentandare-branding. Thesefactorsledtothefirm winning Law Firm of the Year at The Lawyer Awards 2013. Dr. Philip Campbell is Editor-in-Chief of Nature and of the Nature Publishing Group. His areas of responsibility include the editorial content and management of Nature, and assuring the long- term quality of all Nature publications. He is based in London. Following his research in upper atmospheric physics, he became the Physical Sciences Editor of Nature and then, in 1988, the founding editor of Physics World, the international magazine of the UK Institute of Physics. He returned to Nature to take on his current role in 1995. He has worked with the UK government, the European Commission and the US National Institutes of Health on issues relating to science and its impacts in society. He is a founding trustee of the research funding charity ‘MQ: transforming mental health’. Steve Masters is Vice President of Customer Innovation and Solution Design, within BT Innovate &Design,focussingprimarilyintoBTGlobalServices. HisteamcomprisesCTO’salignedtoand focusing on BT’s largest global contracts, and a team of Solutions Architects and Service Designers who construct solutions for all of our large global bids. Steve is also responsible for driving innovation through the CTO and Architect community and has a team focused on thought leadership and interfacing to BT’s R&D functions. As well as running the global team Steve speaks at many customer and industry events on Innovation and Unified Communications. Steve has more than 25 years’ experience in the IT and the telecommunications industry from the early days of networking in the late 80’s through to Web and Content services in the dot com period. Prior to joining BT in March 2005, Steve worked for a leading consultancy and systems integrator. There, he managed the company’s mobile application and Microsoft practice and led sales activity targeted at the manufacturing and high technology sectors. 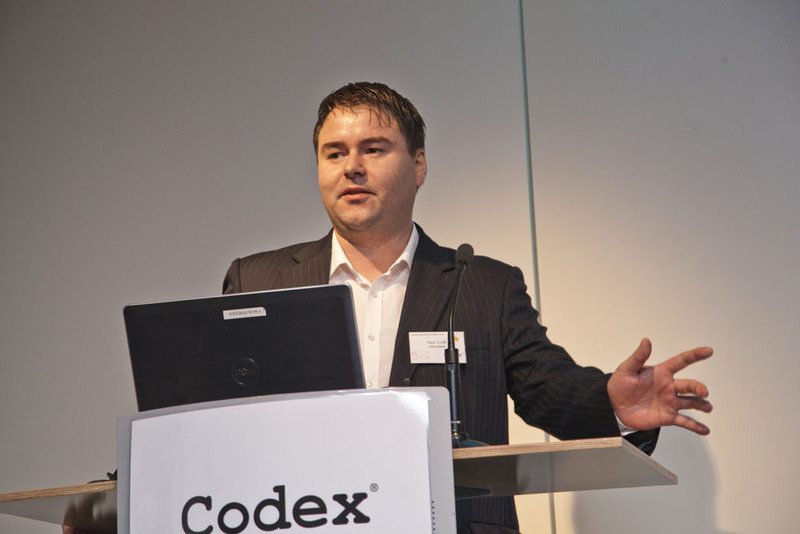 PaulCroft is a Director of Ultimaker GBLtd the UK&Ire operations for Ultimaker. Having studied International Management at the University of Hull & University of Northern Iowa Paul proceeded to a career in management with Enterprise Holdings. The excitement of 3d printing and it’s potential applications proved too much to resist and along with Alex Mayor Ultimaker GB was born. Ultimaker has just launched the CREATE Education project and are excited about sharing 3d printing with everyone! Paul Gately – as Channel Development Manager, EMEA for Professional & Production Printers, Paul maintains a dual focus on customers and resellers with an emphasis on delivering sales and improving channel efficiency for one of 3D Systems most strategic and fastest growing business units. He joined 3D Systems with more than 20 years of industry experience. 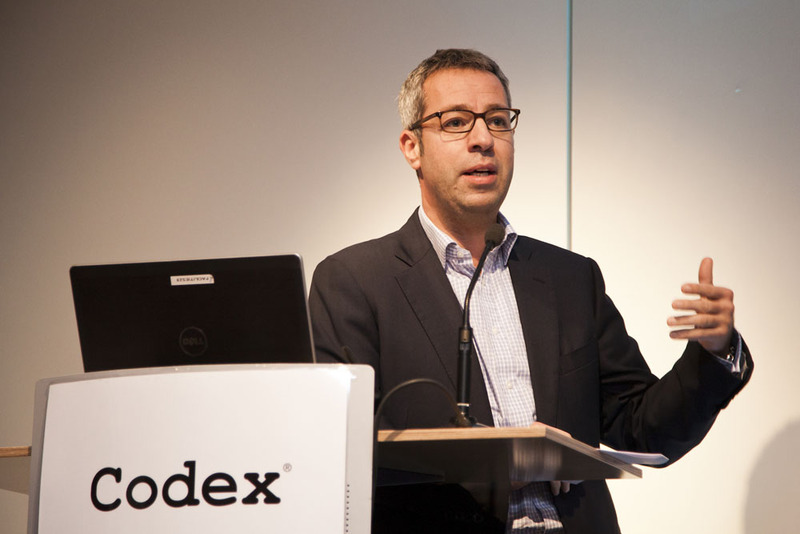 Prior to assuming his current role, Paul served 8 years as the Northern Europe channel manager for Stratasys Inc, building a successful 3D printing channel reseller network and significantly increased revenue growth. He has held various management-level sales and marketing positions with Virtalis and Parametric Technology Corporation (PTC). Paul has extensive experience in product development, CAD/CAM/CNC, injection molding, and tool and die manufacturing. 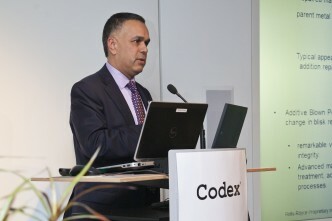 Dr Hamid Mughal OBE is an internationally acclaimed Manufacturing Leader with over 28 years of experience in the Automotive and Aerospace Industries. During this period he has held senior positions in a variety of disciplines ranging from Product Engineering to Supply Chain Management. He joined Rolls-Royce in 2001 from BMW Group where he was Director of New Product Programmes. In his current role as Director of Manufacturing, Rolls-Royce plc, Hamid is responsible for leading the Manufacturing activities & strategies across the company’s manufacturing bases. This includes the development and deployment of Manufacturing methods, standards, technologies, systems and Lean practices to achieve Best in Class performance. He is also responsible for the professional development of the global Manufacturing community in the company. Hamid has an Honours degree in Mechanical Engineering, BA in Mathematics and Technology, MSc.inProductionEngineering&ManagementandaDoctorateinManufacturingSystems. 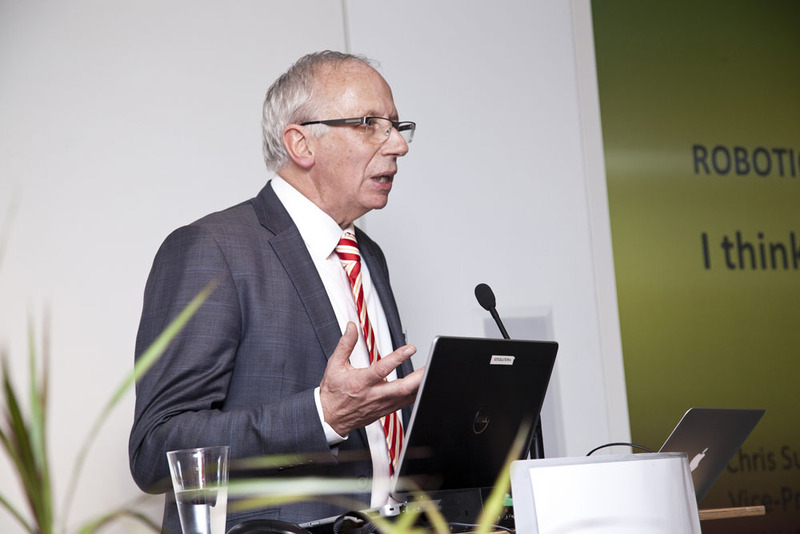 He has a keen interest in the latest developments in Manufacturing and Supply Chain Management and contributes regularly to professional bodies in his capacity as Pro Chancellor University of Nottingham and External Professor at Cranfield and Sheffield Universities. 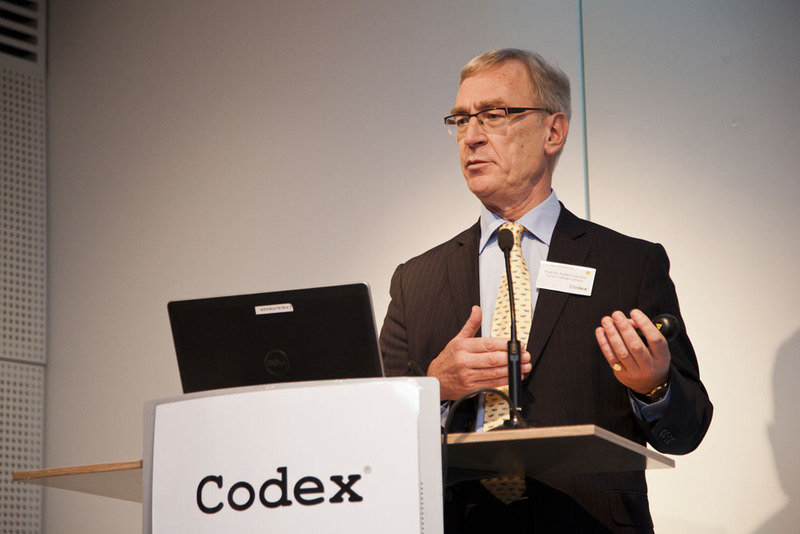 He is a Chartered Engineer, winner of the IET’s International Manufacturing Gold Medal, Fellow of Royal Academy of Engineering, IMechE and IET and a Board member of the High Value Manufacturing Catapult. Hamid passionately believes in the social and economic value of Manufacturing. He plays a leading role in the advancement of competitive Manufacturing in UK by promoting collaborative programmes such as the Global network of Advanced Manufacturing Research Centres, the development & application of Lean Production Systems, The Future of Manufacturing project with the Government Office of Science and cross-sector education and training programmes for industrial leaders. 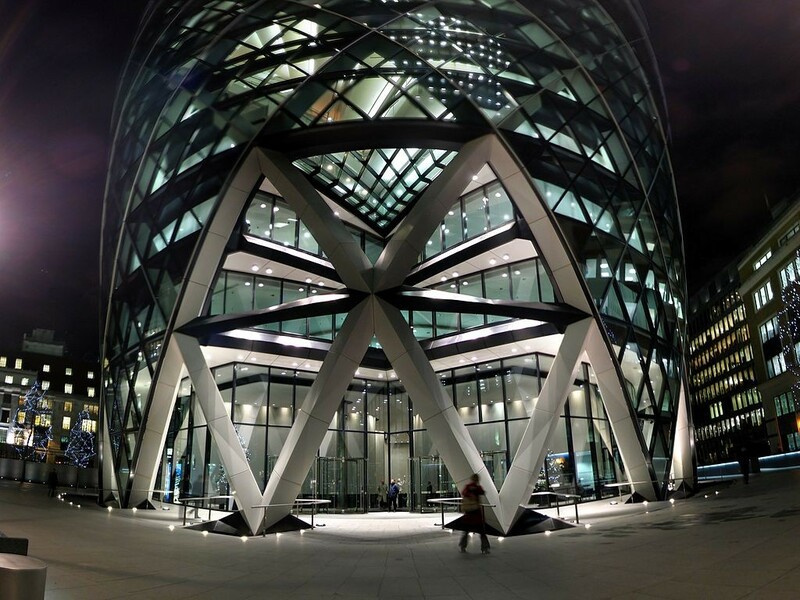 Ÿ Leading strategic Arup propositions including big data, smart cities, workplace strategy, technology & sport, technology in major projects, smart mobility and low carbon economy work. Hubertus von Roenne is a long-time business professional in the Global Telecoms & Internet Industries. From 2000 to 2006, he led major international transactions for AOL Europe. 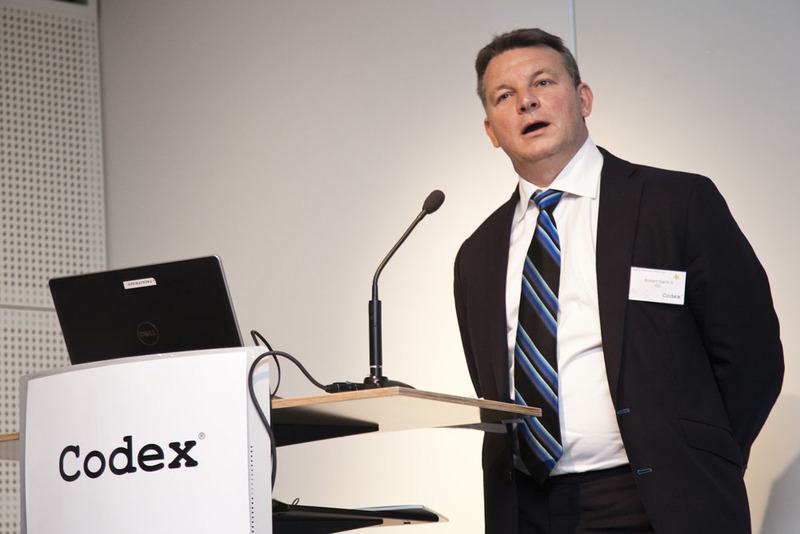 He joined BT in 2006 to run the strategic deal management team in Germany. 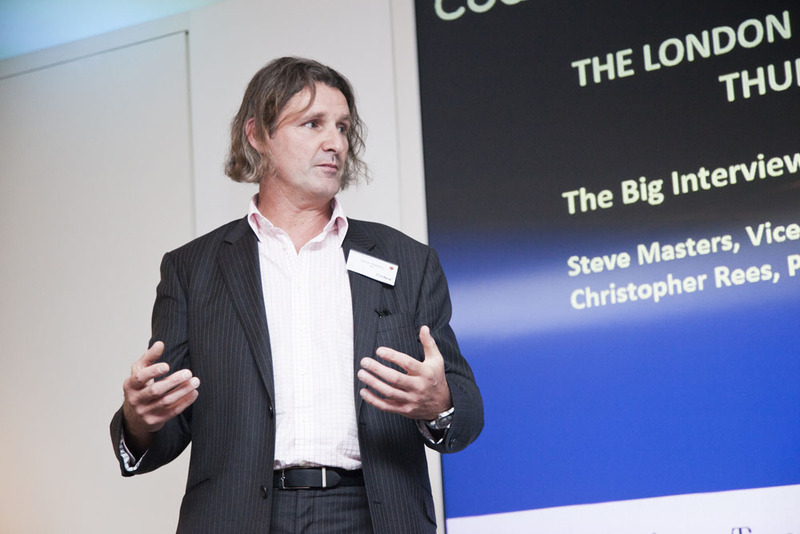 In 2011 he was part of the team setting up BT’s vertical strategy and practices and subsequently led first BT’s Global Logistics Sector and then the Global Manufacturing Vertical. 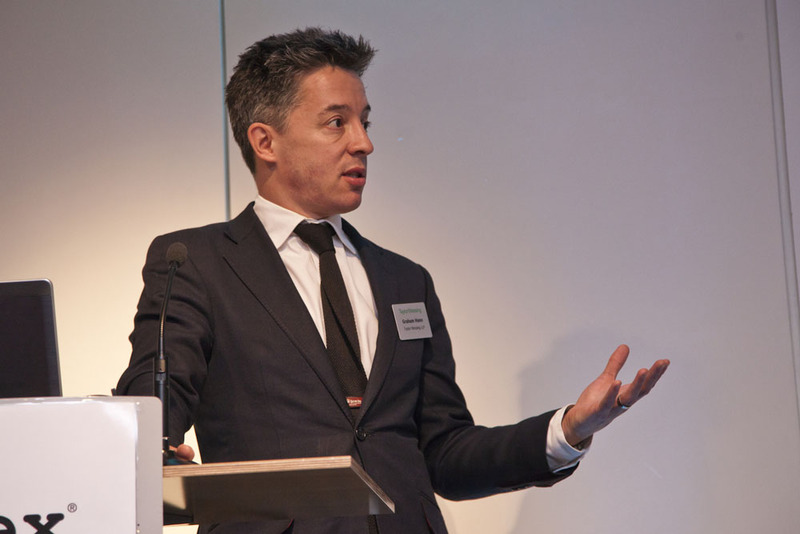 Since April 2014 he is Vice-President for BT’s Global Industry Practice and responsible for all of BT’s global industry (vertical) related activities. 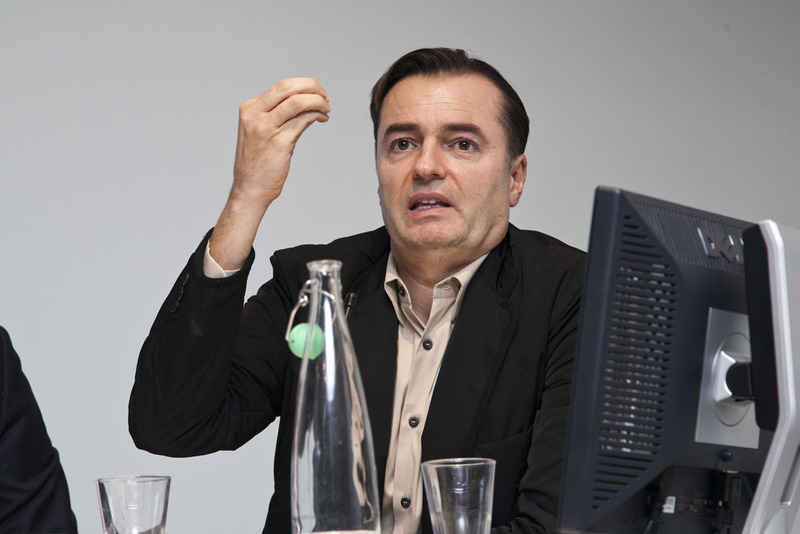 Patrik Schumacher has been a designer at Zaha Hadid Architects since 1988. He is a company director and senior designer of the practice as well as a co-author and project partner on seminal projects such as the MAXXI: National Museum of 21st Century Arts in Rome, the BMW Central Building in Leipzig, the Guangzhou Opera House in China and the Dongdaemun Design Plaza in Seoul. He is registered with the Architect’s Registration Board, and a member of the Royal Institute of British Architects. Patrik studied architecture at the University of Stuttgart and at the Southbank University in London. He completed his architectural diploma and received his degree from Stuttgart University in 1990 and also studied philosophy at both Bonn and London Universities. In 1999 he received his doctoral degree Dr.Phil. from the Institute for Cultural Sciences at the University of Klagenfurt. Since 1992, Patrik has been teaching at architectural schools in Britain, continental Europe and the USA. He is a co- director of the Design Research Laboratory (DRL) at the Architectural Association School of Architecture. He has co- taught a series of post-graduate option studios with Zaha Hadid at the University of Illinois – Chicago, Yale, Columbia and at the Graduate School of Design at Harvard University. Robert Lechler qualified in Medicine in Manchester in 1975. Thereafter, he undertook four years of junior hospital doctor training in general medicine and nephrology before embarking on a PhD in transplantation immunology at the Royal Postgraduate Medical School. Following the PhD, he returned to full-time clinical work for two years and completed his scientific training at the National Institutes of Health in Bethesda, USA. He returned to the UK to a Senior Lecturer Post at the Royal Postgraduate Medical School in 1986 and became Head of the Department of Immunology in 1994. He became Dean of Hammersmith Campus at Imperial College Faculty of Medicine in 2001 and Head of the Division of Medicine in 2003. He moved to King’s College London as Head of the School of Medicine at Guy’s, King’s College and St Thomas’ Hospitals in September 2004 and was appointed Vice Principal (Health) at King’s College in October 2005. In June 2009 he was appointed as Executive Director of King’s Health Partners Academic HealthSciencesCentre. In 2012 Robert received a knighthood in the Queen’sBirthday Honours. (1) Defining and exploiting the mechanisms of transplantation tolerance. (2) Regulating coagulation as a mechanism to inhibit inflammatory and adaptive immune responses. (3) Defining the “fingerprint” of clinical transplantation tolerance. 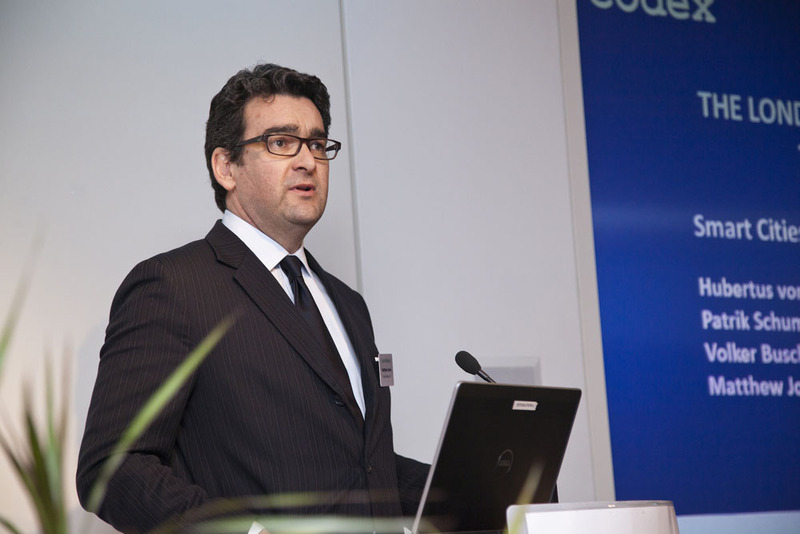 Andrew Baum joined Citi, in September 2011, as the Global Head of Healthcare Research. Before joining the firm, Andrew was at Morgan Stanley for 14 years where he was the top ranked European Pharmaceutical Analyst in the Extel Poll for six years. Andrew and his team consistently ranked in the top three teams in external EU and global investor polls (Institutional Investor, Greenwich and Reuters). Before this, Andrew was a UK pharmaceutical and biotechnology analyst at Salomon Brothers. From 1994 to 1996, he was a practising physician at the Royal National Orthopaedic Radcliffe Hospital in Oxford (the medical centre of Oxford University) where he completed his residency. Andrew is a member of the American Heart Association, American Society of Oncology and the DIA. He is also a Fellow of the Royal Society of Medicine. Andrew holds an MA degree in Physiological Sciences and an MD degree from Oxford University. 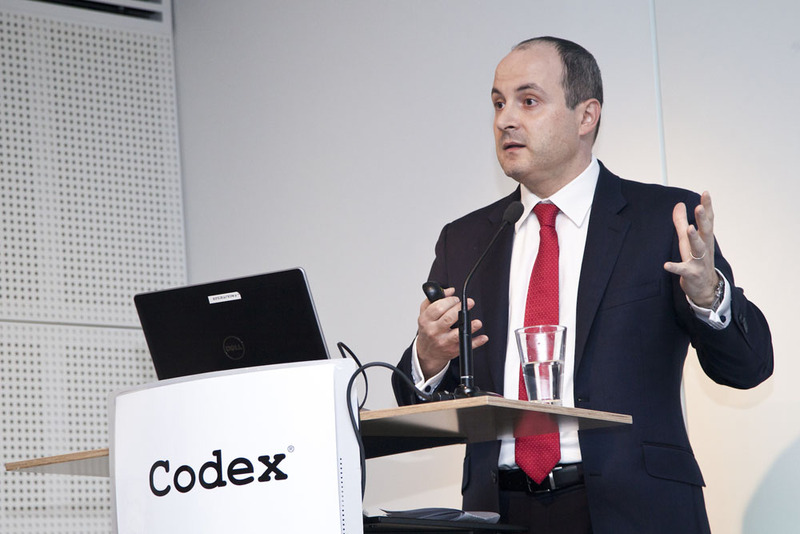 Mene Pangalos, Ph.D. is Executive Vice President of AstraZeneca’s Innovative Medicines and Early Development BiotechUnit. Amemberofthecompany’sSeniorExecutiveteam,Menehasoverallresponsibilityforthecompany’s small molecule discovery research and early development activities. As one of AstraZeneca’s leading scientists Mene has published more than 120 peer-reviewed articles in scientific journals and has served as an editor of books and journals in neuroscience. Mene completed his undergraduate degree in Biochemistry at Imperial College of Science and Technology and earned a PhD in Neurochemistry from the Institute of Neurology, both at the University of London. He is a Visiting Professor of Neuroscience at King’s College London. In the UK, Mene sits on the Medical Research Council (MRC), the council for the National Centre for Universities and Business, the Prime Minister’s Research Champion Group for Dementia and is part of the Ministerial Industry Strategy Group. He is also a Fellow of the Society for Biology, an Associate of the Royal College of Science and holds memberships with the American Society of Neuroscience and the British Pharmacology Society. ThroughouthiscareerMenehasbeenrecognisedfordrivingforwardscientificinnovation. AtWyethhisgroupwas recognised by R&D Directions magazine as having the Best Central Nervous System Pipeline, while in 2008 Mene was awarded an Innovation in Industry award by the New York Academy of Sciences for his outstanding contribution to neuroscience research and drug discovery. Since joining AstraZeneca in 2010, Mene has been instrumental in transforming the company’s commitment to science. 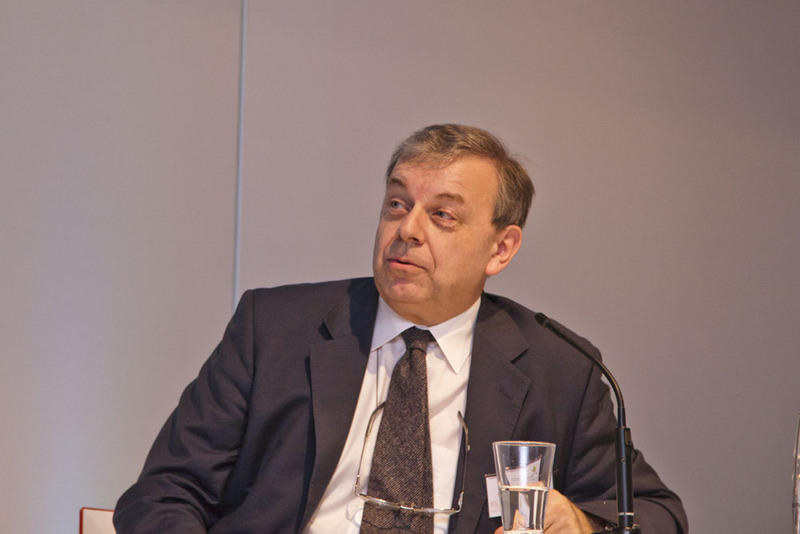 He has led the transformation of R&D productivity through the development and implementation of the “5R” framework (recently published in Nature Reviews Drug Discovery); driven greater collaboration with academic, NGO and peer organisations; pioneered programmes to promote more open innovation and fostered a science driven culture that rewards truth-seeking behaviours. Mene is also overseeing the creation of AstraZeneca’s new £330 million research centre in Cambridge – a state of the art of facility designed to stimulate collaborative scientific innovation and which will play an important role in the future success of the UK life science industry. Member of Parliament for Wokingham. Sandeep Dave is a Director with the Global Digital Strategy group at Citi where he works across Citi businesses to develop digital strategies and drive Citi’s digital transformation. Sandeep has held a number of senior technology, consulting and business roles across North America, Europe and Asia. Prior to Citi, Sandeep worked for Booz and Company, a leading general management consulting firm, where he held several leadership roles including standing up its India business. Prior to that, Sandeep has been an entrepreneur and has held multiple roles in the hi-tech industry. 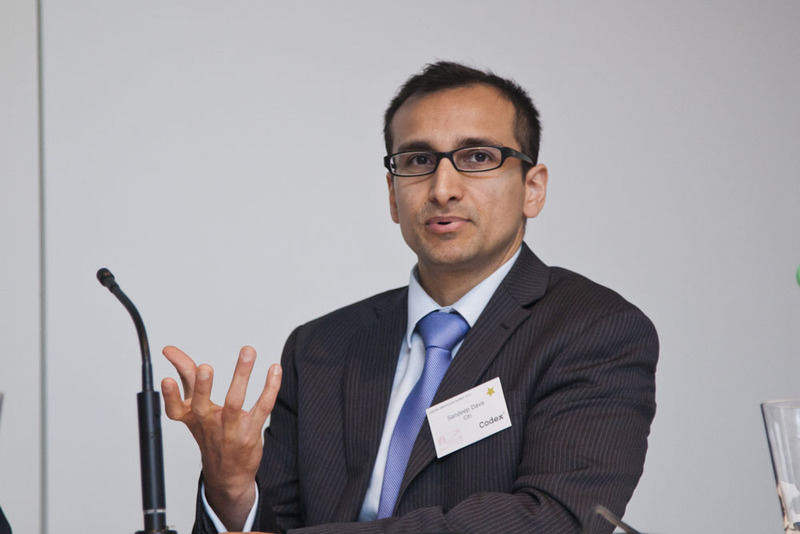 Sandeep has done extensive work in assessing the impact of digital technologies on various industries incl. digitizing money flows and the associated economic and social impact. He is the author of the report “Getting ready for digital money: a road map” and a frequent speaker on this topic. Sandeep graduated from Mumbai University with a Bachelor of Engineering in Computers. He also has an MBA from University of Maryland, Smith School of Business. Dr. Valentin Marinov is Director and Citi’s Head of European G10 FX Strategy, based in London. Valentin is a member of the award-winning Global FX Strategy team. Valentin frequently meets with FX professionals and investors outside of the FX client base to discuss global macro and asset market developments. Valentin publishes frequently in CitiFX Strategy publications and is a frequent consultant to Citi’s internal and external clients around the world on how macroeconomic policy, regulation and asset markets affect global FX markets. 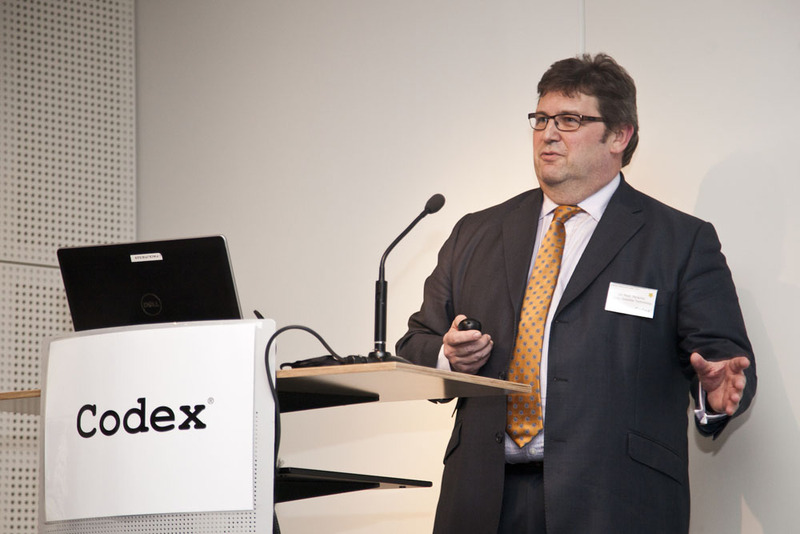 His expertise is on global FX, the Eurozone and EUR as well as USD, JPY and GBP. Valentin joined Citi in 2010 from Societe Generale where he worked as a senior G10 FX strategist. Prior to that Valentin worked from 2005 to 2009 as FX strategist at Dresdner Kleinwort and from 2001 to 2005 as lecturer in Finance and Economics at the Johann Wolfgang Goethe University. Valentin has a PhD in Finance and Economics from Johann Wolfgang University in Frankfurt, Germany. Rob Garlick is a Managing Director and the Global Product Head at Citi Research. Rob’s role includes driving global industry and thematic initiatives. 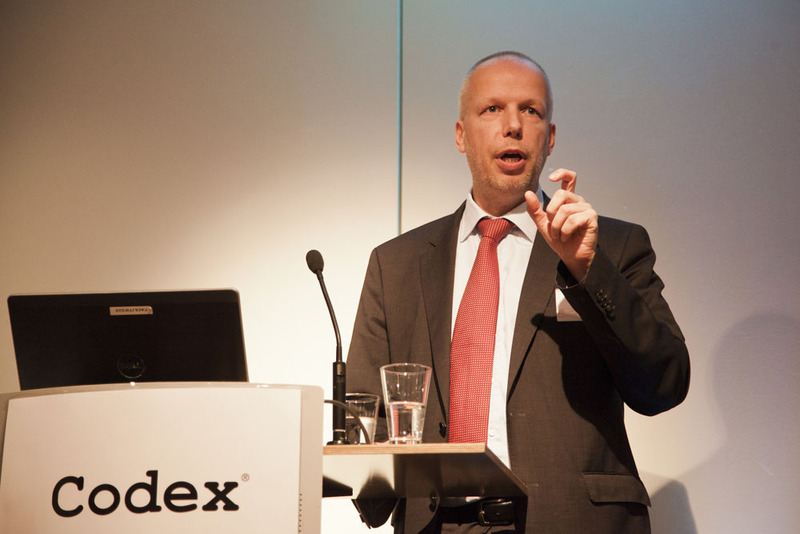 Citi was voted No.1 in Extel’s 2014 rankings for Thematic Research. Rob joined Citi in 1996 and prior to his current role, ran Citi’s US Equity Sales desk in the UK and was a No.1 rated Global Specialist Salesperson. Rob started his career in Fund Management in 1993 at Singer & Friedlander where he helped run the US equity fund. Among other industry qualifications, Rob passed the AIIMR as a prize-winner in Interpretation of Accounts & Corporate Finance and holds a BSc (Econ) degree in Accounting and Management. 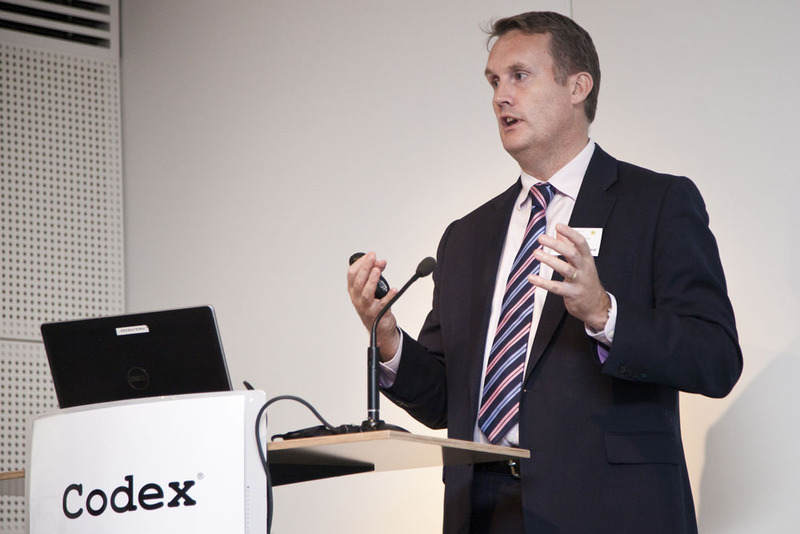 Matt Perkins joined SSTL in January 2007 as the Chief Executive Officer. 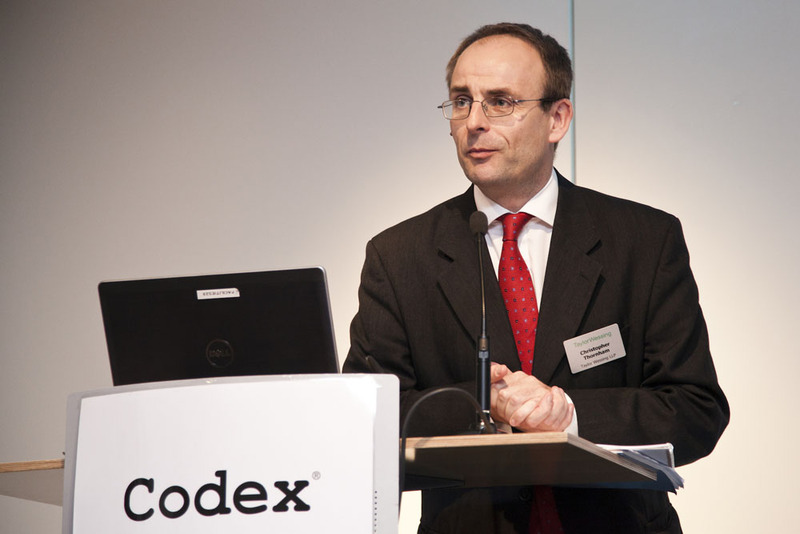 During his tenure SSTL has delivered substantial growth and produced possibly the largest cash spinout from a British University, guiding the sale of SSTL to EADS Astrium, the largest space manufacturer in Europe. During the last seven years, SSTL’s revenues have increased by a factor of six and its staff numbers haveincreasedto600. SSTLhassecureditstwolargestcontractsincludingaflagshipEuropean programme (Galileo) providing the heart of the new European satellite navigation system and has continued its innovative business approach with the leasing of the imaging capacity of a constellation of three highly capable spacecraft. SSTL continues to be the world’s leading provider of small satellite missions and services. Christopher Rees is a partner in Taylor Wessing’s Corporate Technology group. He has been recognised as one of the top 3 Technology Lawyers in the world for the past 15 years (Euromoney, “Best of the Best”) . His practice embraces deals, projects and disputes worldwide across the Tech sector. 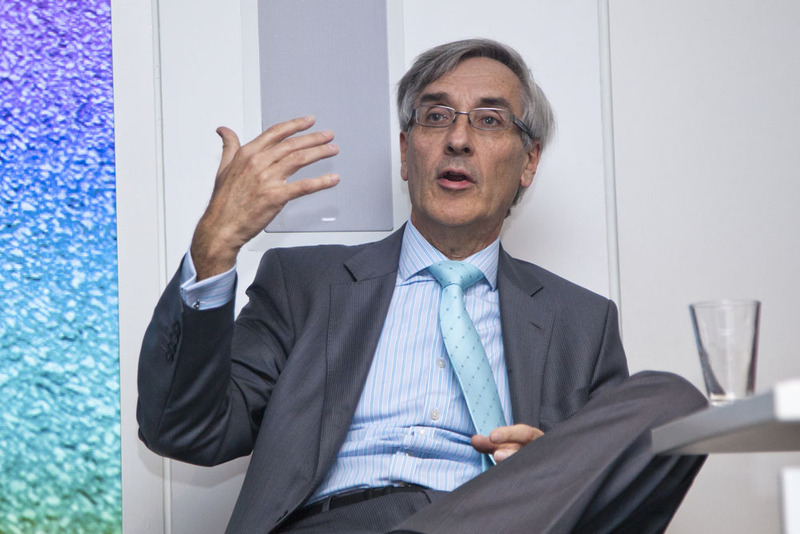 He has been Chair of the International Bar Association’s influential Computer and Database Committee since 1996 and is currently Co-Chairing an IBA task force which has drafted a Geo information Convention to assist the global development of the Geo information market. Christopher is a graduate of Cambridge University and an enthusiastic member of the Taylor Wessingers, the Firm’s Award Winning Choir. 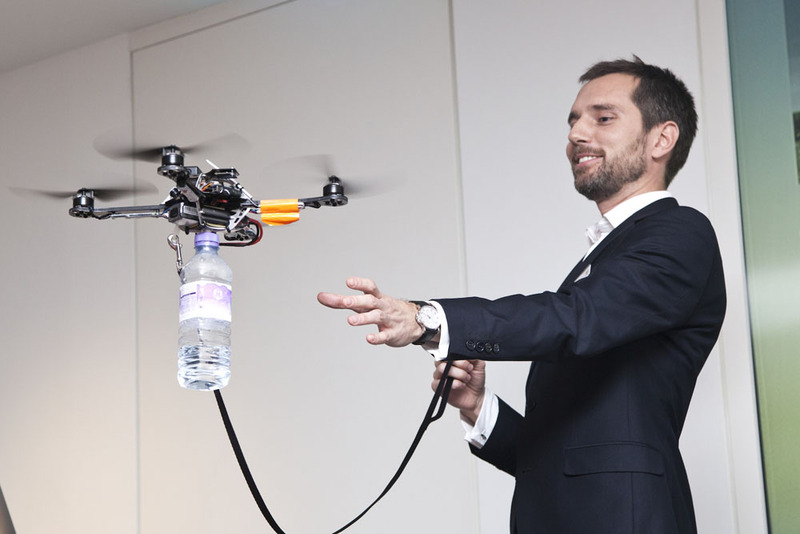 Dr. Mirko Kovac is director of the Aerial Robotics Laboratory at the Aeronautics Department at Imperial College London. His research interest is the conception and design of novel aerial robots and their analogy in biological systems. Before his appointment in London, he was post-doctoral researcher at the Harvard Microrobotics Laboratory as part of the Wyss Institute for Biologically Inspired Engineering at Harvard University in Cambridge, USA. He obtained his PhD with the Laboratory of Intelligent Systems at the Swiss Federal Institute of Technology in Lausanne (EPFL). He received his M.S. degree in Mechanical Engineering from the Swiss Federal Institute of Technology in Zurich (ETHZ) in 2005. 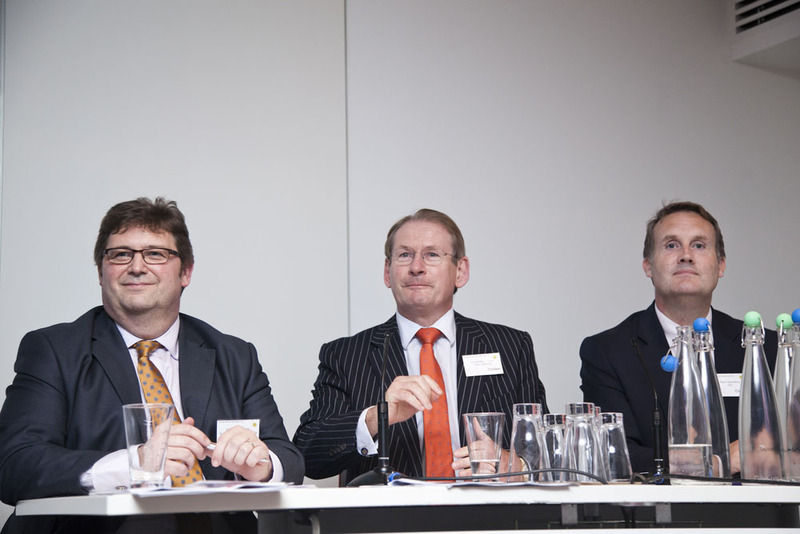 Chris Sumner is managing director of FANUC UK and vice president of FANUC Robotics Europe. Prior to the realignment of FANUC’s UK divisions earlier this year, Chris had been managing director of FANUC Robotics UK for over 15 years. Chris’ career in robotics and automation spans almost 40 years. 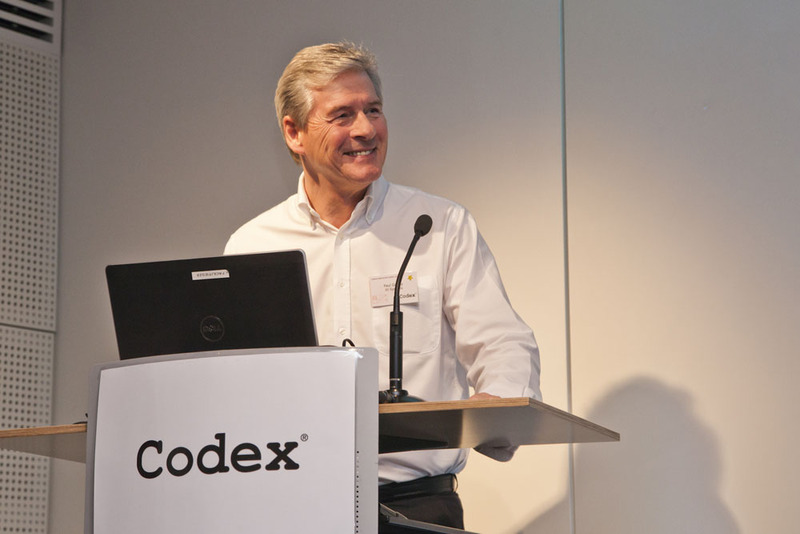 Chris has been influential in the design, integration and installation of robotic automation systems since their introduction to the UK in the 1970s. Under Chris’ leadership, FANUC UK has made a large investment in talent and established the company’s first apprenticeship scheme outside of its Japan headquarters. The scheme has been recognised by various industry bodies, including the Midland Group Training Services Limited (MGTS), for the quality of its training and its encouragement of young engineers entering robotics. 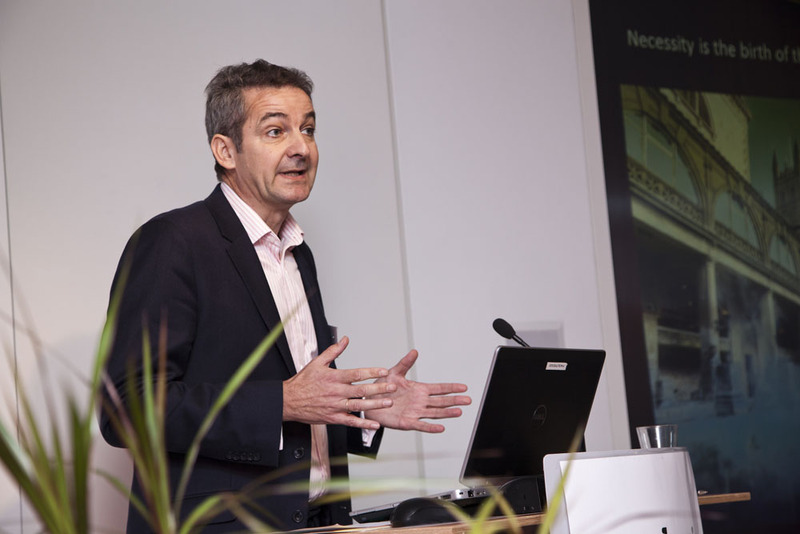 Chris has also been instrumental in driving a perception change in the UK around the benefits of robotics, and continues to promote new initiatives that make automation accessible to small, medium and large businesses alike. 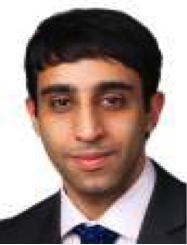 Bilal Aziz is a Senior Associate in the European Capital Goods team at Citi Research. He joined Citi in 2011 with primarily focus on the Electrical Engineering companies and recently initiated coverage on Kuka, one of the biggest global industrial robot manufacturers. Bilal graduated from King’s College London with an undergraduate degree in Mechanical Engineering.